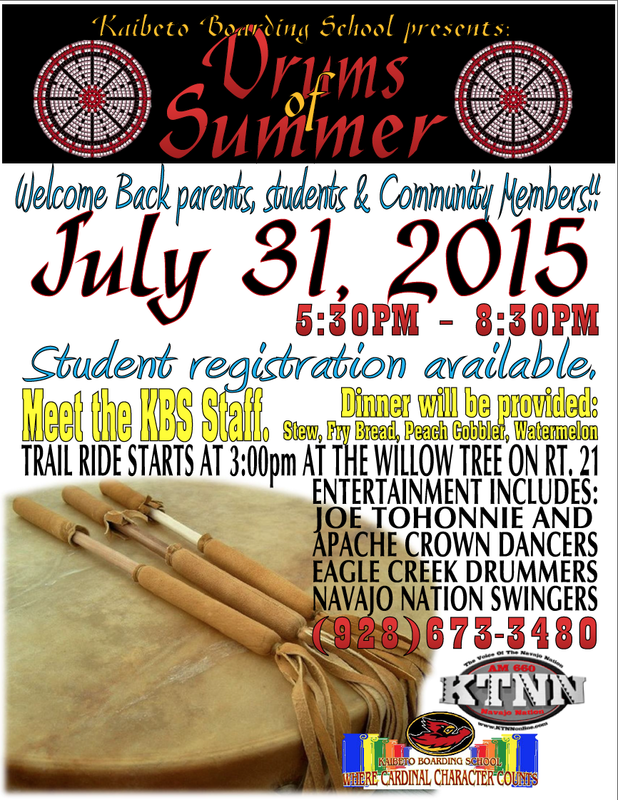 KAIBETO — The “Drums of Summer Back to School Health Fair” will be held from 5:30 to 8:30 p.m. Friday, July 31 south of Page at the Kaibeto Boarding School, East Hwy. 160, Kaibeto. Meet the Kaibeto Boarding School staff. Student registration available. Food and entertainment. Trail ride starts at 3 p.m. at The Willow Tree on Route 21.